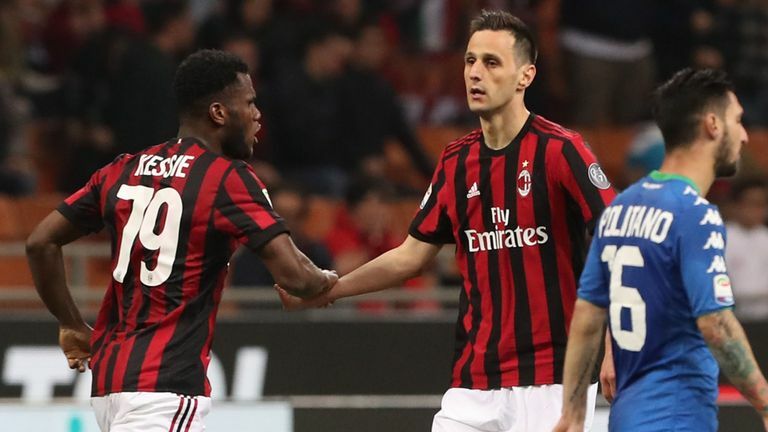 AC Milan have been banned from next season's Europa League competition by UEFA following an investigation of the club's finances. The governing body had been looking into whether the Italian club had complied with the Financial Fair Play (FFP) regulations, in particular, the break-even requirement. On Wednesday, a UEFA statement read: "The club is excluded from participating in the next UEFA club competition for which it would otherwise qualify." Milan, who finished sixth in Serie A last season, qualified for next season's Europa League and so the ban will stop them from playing in that competition. The Italian club has the right to appeal the decision to the Court of Arbitration for Sport in Lausanne, Switzerland. Milan are reported to have argued their finances are now stable as a result of their takeover by Li Yonghong last year but UEFA has still acted. Before the verdict, Milan released a video on Twitter saying they expected "fairness, rulings based on facts and equal rules for all" from UEFA. The statement said the club are "ready to pay for the errors made in the past" and "have the utmost respect for the rules, but we expect equality". The punishment could increase speculation over the futures of goalkeeper Gianluigi Donnarumma and defender Leonardo Bonucci, who have persistently been linked with moves away from the San Siro.